Our hands are the most flexible parts of our body because of the number of joints. They are also primarily made of cartilage. Both qualities allow our hands to bend, twist and turn in almost any direction. However, this also makes our hands vulnerable to osteoarthritis. Osteoarthritis is a condition that affects the joints. The cartilage that connects the bones has worn out which causes bones to directly rub each other when the hand moves. 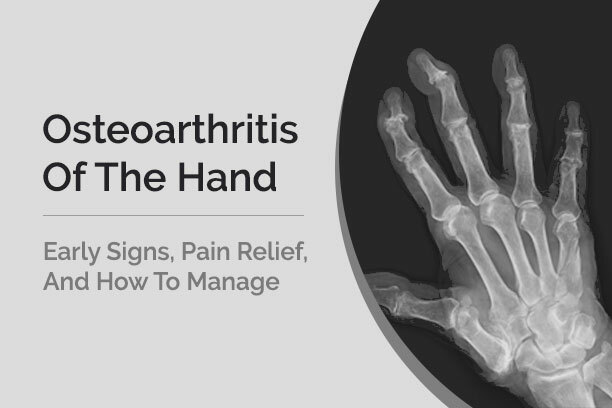 Osteoarthritis usually occurs in three parts: the base of the thumb, which connects the latter to the wrist joint, the joint of the hand that is closest to the fingertip, and the joint at the middle of the finger. Our physiotherapy services can help you reach your optimal health potential and live a pain-free life. Call us today.